We are not talking about the star of Top Gun movie, but about the rider of Yamaha Team. Maverick flies Spanish EF-18 Hornet. If you are a fan of MotoGP and military aviation, you have probably been intrigued by the name of Valentino Rossi's team-mate in Yamaha, Maverick Vinales. In fact, he has the same name as the star of the famous American movie "Top Gun". Vinales does not hide his passion for the film, his suit clearly shows the "Top Gun" logo at the back. His father Angel chose the name inspired by the character of the 1980s blockbuster dedicated to military aviation and U.S. Navy. The only notable difference between Vinales and Pete Mitchell is certainly the vehicle, the Yamaha M1 does not have the same power as an F-14 Tomcat! 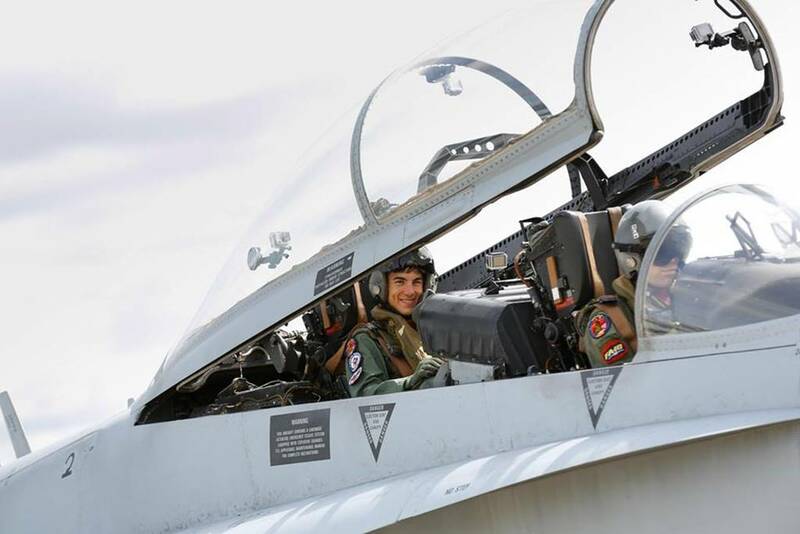 However, Vinales did not desist from flying a jet and in September 2015, some days before the race at Aragon, he boarded an EF-18 Hornet of the Spanish Air Force. 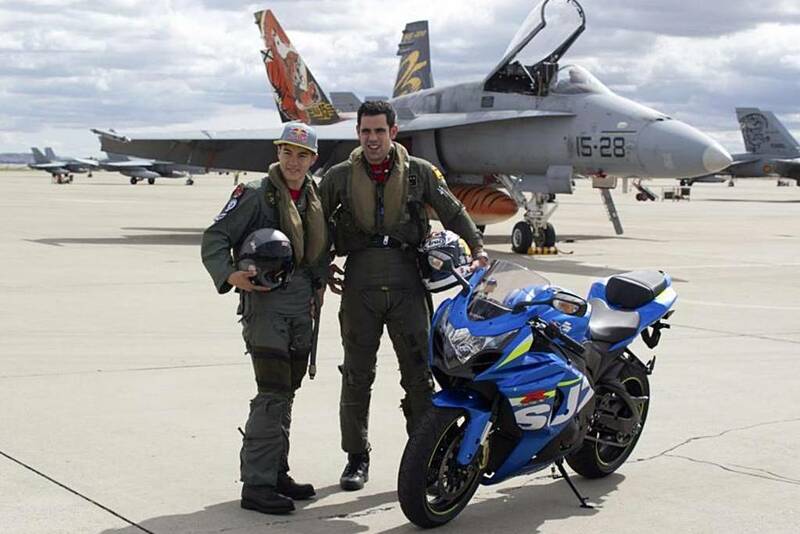 On the saddle of a Suzuky GSX-R 1000 motorcycle, Maverick reached Zaragoza airbase to fly a fighter jet belonging to the "Ala 15". After the technical briefing, he boarded a two-seat Hornet along with Captain Javier Barcala, and participated in a training flight together with another EF-18 that included acrobatic maneuvers and combat simulations. Despite Vinales being well trained in high acceleration and speed, he suffered from ketosis during the flight. However, these minor problems did not dampen his enthusiasm. "It was the best experience of my life, nothing can be compared to it, not even the title of world champion in Moto3. It is a truly unique experience in life. I feel privileged to have received this chance," Maverick said. Before leaving the base, he also made a nice statement: "I should add some of the power of the aircraft to my motorcycle."